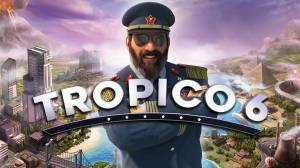 Tropico 6 is a construction, management and political simulation game in the Tropico series. You play the role of El Presidente and it is your job to steer the fate of the Caribbean island nation of Tropico with foresight and ingenuity. You can either adopt the persona of a feared dictator or peace-loving statesman as you guide the banana republic through four distinctive eras: The Colonial era, the World Wars era, the Cold War era, and the modern era. 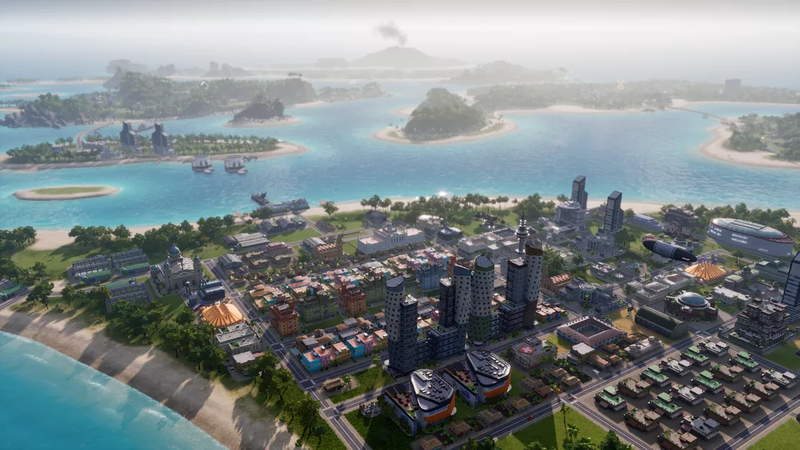 Unlike previous games in the series where Tropico consisted of only one island, Tropico 6 allows you to manage extensive archipelagos, build bridges to connect your islands and use new means of transportation and infrastructure. At the start of the game it is advised that you avoid the temptation of splitting your country acrouss several islands. The reason for this is you will save money if you just focus on the starting isle as you will be limiting the transport routes you develop. Look to expand to the next islands within the archipelago once your country begins to generate profit. Keep in mind that during the initial stages of the game most of your citizens will be poor so there is no point building houses for rich people as nobody will move into them and you will lose money. Regardless of what area you beging the game you need to make sure you base the residential buldings you erect on the target group mentioned in the building description panel. Avoid building houses for rich people until citizens of higher social status such as doctors move into your country. Being able to move goods to their destination points is an important role especially if you have begun expanding your country across other islands. If you have you need to make sure you build the Teamster Port and surround it with industrial facilities so you can easily exchange goods across the archipelago. It is important that you construct the High School and College as early as possible as you will need more educated workers with each new era you enter. If you don't have enough educated workers you will be forced to use raids so you can pay employees from outside your archipelago (These employees are hired by clicking the free spot in a building). You can speed up the learning process of your citizens by issuing the Litracy Program. It is important that you build a Library as soon as you reach the Colonial Era as this is the base location where the Knowledge Points are generated. Knowledge Points are required to unlock next decrees and building upgrades. Even if you do not intend to conduct any research straight away erecting a library will give you Knowledge Points for when you do decide to develop technologies in the future. Make sure you visit the Overview tab in the Almanac often so you know exactly what's happening with every aspect of your country. The Overview tab will give you valuable insight into relations with other factions and superpowers and enable you to act quickly if there is any imminent threat from the rebels.